The Nadia is a chesterfield style Wing Chair available in your choice of leather. Its construction of hardwood and plywood frame is backed up by a 10 year warranty on the frame. The seat is fully sprung with non-sag springs in the base in the cushions ensuring long life and comfort. This classic chesterfield wing chair is available in a wide range of colours. The Nadia is displayed in our Washed Off Burgandy leather, but many people would describe this piece as a Red Wing Back Chair. 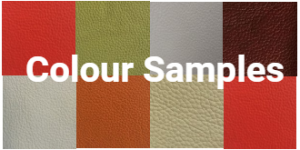 You can choose from many different leather colours in our range, from the traditional red, or oxblood, to a variety of semi aniline tan leathers. The Nadia is a fairly upright chair, and has a firm bottom seat. The outstanding feature of the Nadia is that is has a buttoned bottom cushion. It also has a featured stud pattern around the arm. You can choose from brass coloured studs to chrome, or no studs at all. Its construction of hardwood and plywood frame is backed up by a 10 year warranty on the frame. The seat is buttoned with a timber base and high density foam cushions ensuring long life and comfort. 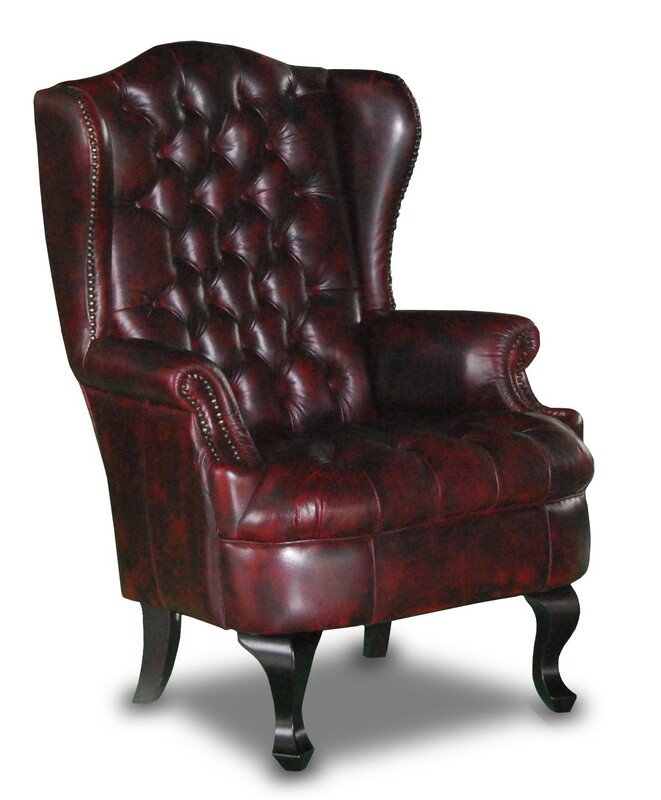 This classic chesterfield wing chair is available in a wide range of colours. A huge range of fabrics is available from Warwick Fabrics, as is our range of leathers. You can order with different colour legs, and with studs or without. The choices are endless. Personalise your new chair to suit your own style and room. Chesterfield Lounges offer many different styles of Wing Chair. From the modern style of the Elvie to the traditional style of the Paris Wing Chair. We ship throughout Australia and Oceania. Just ask us for a quote if the price does not appear in the freight quotation field when checking out.